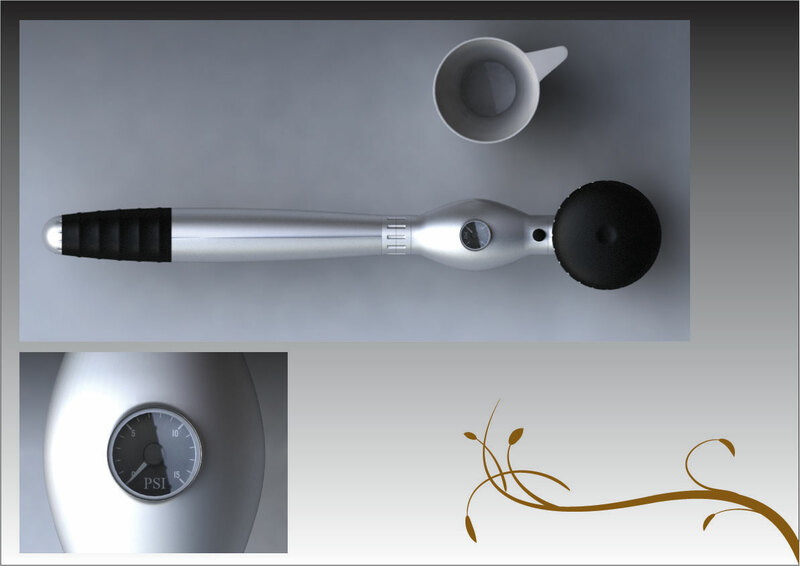 Concept stylish design for a portable espresso maker that uses no electricity. 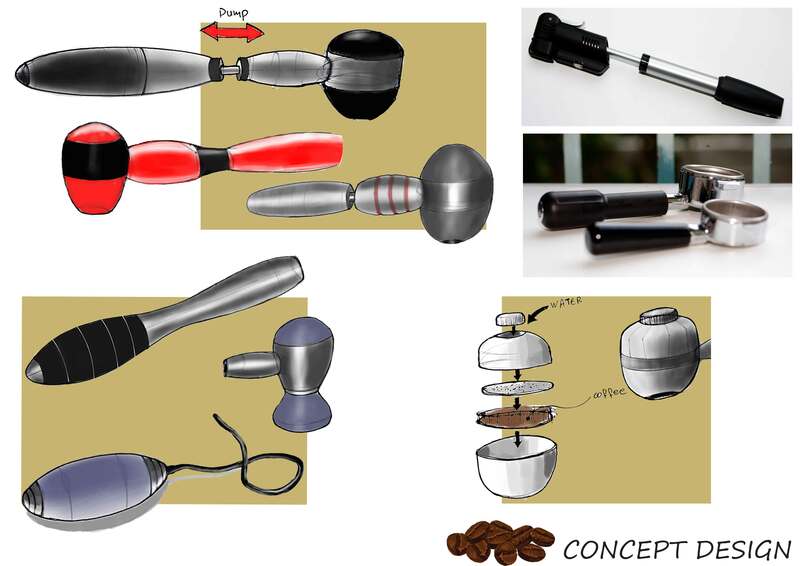 The idea was to to make it now possible to drink a quality espresso wherever you are. 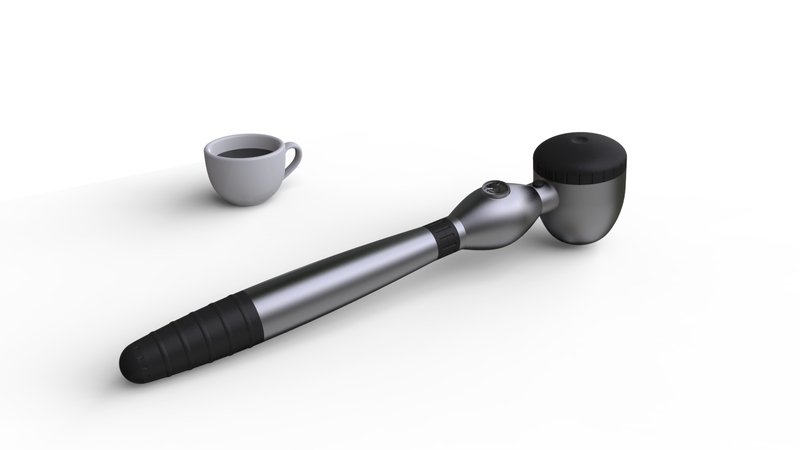 It is portable and easy to use at camping, at office or even at home. 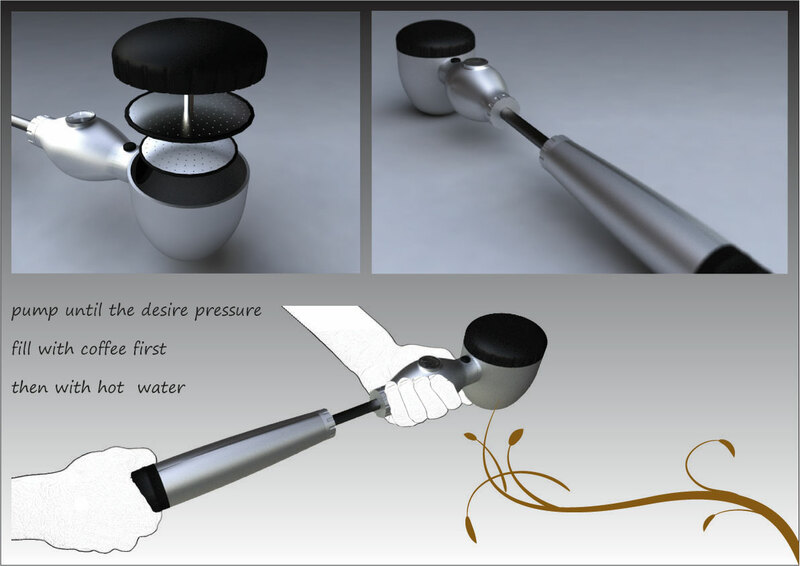 It creates pressure by pumping manually.